The Electric Production Car Series is the first FIA approved fully- electric production car race series. 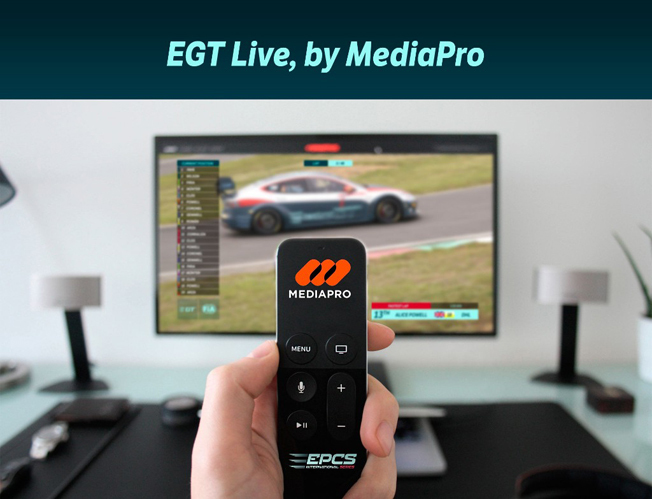 MEDIAPRO Group and Electric GT Holdings have reached an agreement that will see MEDIAPRO undertaking the TV production and feed distribution for the coverage of the fully-electric production racing car championship - the “Electric Production Car Series”. MEDIAPRO will be in charge of the TV production of all events and will distribute the feed all around the globe. 20 drivers will compete in this series, behind the wheel of the Tesla P100D EPCS electric race cars and visit circuits in Europe, USA, and Asia. MEDIAPRO, a leading group in the European audio-visual sector, will use HD 1080 technology to produce the television feed for the EPCS. MEDIAPRO has 60 OB units and studios all around the world is the leader in technical, logistic and broadcasting services including satellite TV signal distribution, and is in charge of over 3,500 TV productions per year. Their portfolio of Live TV coverage of high profile Sports competitions includes F1, UEFA Champions League, 13 football national leagues all around the world and different events which are part of the FIFA, UEFA, FIBA, OBS, CAF, AFC and other big sports institutions. Mark Gemmell, CEO and Founder, Electric GT Holdings: "We are thrilled to welcome MEDIAPRO to the Age of Light family and we look forward to seeing what their level of expertise and creativity will add to the Championship. We aim to bring the latest technological developments and innovations not only to the racetrack but to people’s homes through the way that they will view and experience the races, MEDIAPRO will be key in providing that link between us and the fans who can not wait to see and feel how exciting this new racing series will be. For MEDIAPRO: “We are delighted to add EPCS to our portfolio. It is both an honour and a challenge to walk side by side with this revolutionary car racing series on their first ever season right from the beginning. It means a lot that companies such as Electric GT Holdings can count on MEDIAPRO to start such an incredible and ambitious adventure. We look forward to working together towards producing an exceptional racing series and a unique experience for tv audiences all around the planet”.